Goodbye, Sports Jam. 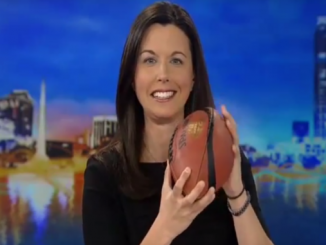 The WKMG Sunday night sports highlight show is apparently getting the ax. According to a Local 6 insider, a memo was circulated saying the 10-plus-year-old show will end after its Sunday, March 4 broadcast. As you may know, WKMG is not renewing the contract of sports anchor Todd Lewis — and now with Sports Jam being canceled, I think sports fans can see the writing on the wall about the future of sports on the station. And if you can’t see that writing, how about this, from the memo that went to the staff from News Director Susan Forbes: "As many of you know, we are reviewing our sports franchise with the goal of focusing and redefining it for our viewers. It is our belief that the strengths of our franchises belong in our newscasts and that we keep our resources focused on our main product." Goodbye, Jim and Wendy. With all the anchor shuffling going on at WESH, the latest casualties are Jim Payne and Wendy Chioji. Oh, and Sally Schulze. And Tom Schaad, too. No, they’re not going off the air — only off the building. The massive posters of the WESH anchors on the station’s tower next to I-4 are expected to come down this week, making way for new CW 18 branding now that WESH owns WKCF. Goodbye, Jim Van Fleet? We’re hoping this isn’t a goodbye, but WOFL is advertising for a morning weather guy. That job is currently filled by singing weatherman Jim Van Fleet. I haven’t been able to track anything down on this but perhaps Van Fleet wants to focus on his growing county music career. Or — again, pure speculation on my part — with WOFL adding an 11 p.m. show, maybe Fox 35 is moving Van Fleet to Fox at 5 so Glenn Richards can do the 10 and 11 p.m. shows? Stay tuned.